If you fill out a request, our receptionist will call you with the next available time. Dr. Brems is on most insurance plans. Unfortunately, most insurance plans will not pay for vision correction. We strive to keep the cost as affordable as possible and offer the best value. We accept all of the normal forms of payment and offer affordable financing options with Care Credit. Visit their web site and you can apply online. 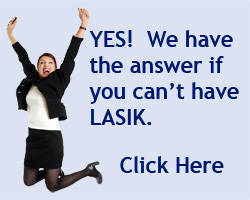 (www.carecredit.com) There are some insurance plans that may help pay for LASIK surgery. We participate with Vision Service Plan (VSP), EyeMed, and Spectera as one of their LASIK surgery providers.